Charming family-run guest house located just off Greyfriars Road in Elgin town centre. Train Station just five minutes walk. 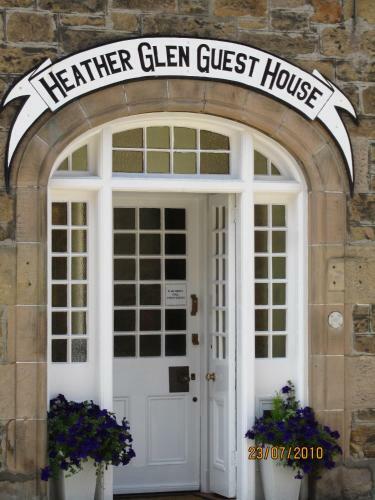 Whether you find yourself in Elgin for the famous Whisky Festival or the formidable Salmon fishing opportunities on the muscular banks of the Spey then Heather Glen Guest House is a modest yet capable option. This stone-clad bed and breakfast property sits in a quiet residential location just off High Street and the St Giles Centre. The ruins of the Cathedral and the train station can both be reached on foot and it is just a short drive to the sand dunes of Lossiemouth and the gorgeous forest bay at Findhorn. Guests can look forward to a gentle country feel to furnishings and each of the rooms is decorated in smart and agreeable fashion.